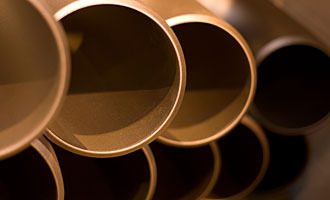 For Over more than 40 Year , Sangeeta Metal Corporation is one of the leading Manufacturer ,Exporter and supplier of Stainless Steel Pipe and Pipe Fitting in a variety of Grade including 304 / 310 / 316 / 316L, nickel alloys& other specialty alloys for corrosion, heat resisting and other application. We are one shop for nickel alloys for the requirement in pipes, plate, Sheets, Rods, wires, nickel & Other ferrous & Nonferrous metal in all shapes, fitting and flanges. Sangeeta Metal Corporation is a multi-location, multi-product Company, in India, We are manufacturing of Stainless Steel Pipe and Pipe Fitting in a variety of Grade including 304 / 310 / 316 / 316L. Our reputed client is spread across various counties likeU.K. and U.S.A., U.A.E and Middle East. We offer superior quality Nickel Alloy Pipes to our prestigious clients. These alloy products are ideal for extreme pressure and temperatures. Our products find application in water treatment, petrochemical and oil industries. Our complete range is stringently tested on various parameters before their final dispatch. These nickel alloy pipes and nickel alloy tubes are offered in various grades and specifications. Established in the year 1972 we, “Sangeeta Metal Corporation”, ISO 9001:2008 certified, are highly acclaimed manufacturer, exporter, supplier, wholesaler, trader, retailer, importer and service provider of ferrous & non-ferrous metal products. In this range we are providing Stainless Steel Sheets, Stainless Steel Plates, Stainless Steel Coils and any more. The company has carved an unparalleled position in the industry by making relentless efforts to cater to the clients with premium quality pipes, tubes and fitting components. This offered range is manufactured by making use of premium quality required basic material and components, procured from the accredited vendors of the industry. Their sincere efforts have enabled us in attaining maximum satisfaction of the entire client-base we hold. We also check the quality of the products on various considerations to ensure the perfect range to our clients. Dedicated to cater to the satisfaction of our valued patrons at prime, we assure the premium quality of the entire range of the products to be offered. We export our products in Europe and Japan. We are looking Enquiries from Gulf, Brazil,Russia and African countries. Our reputed clientele is spread across various counties like U.K. and U.S.A.,U.A.E and Middle East.